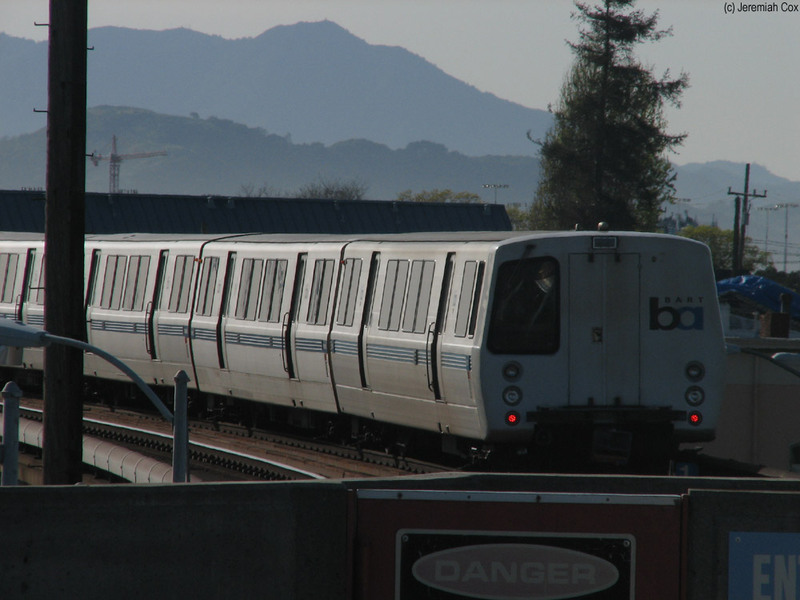 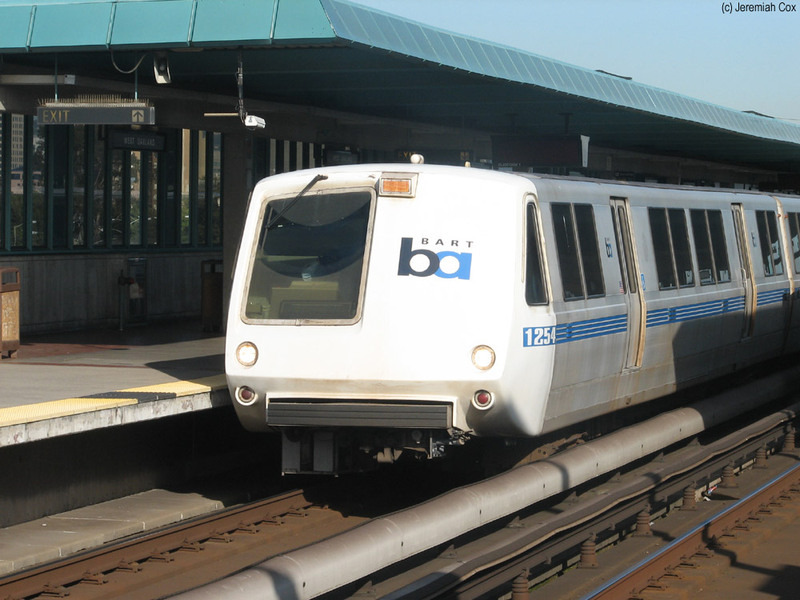 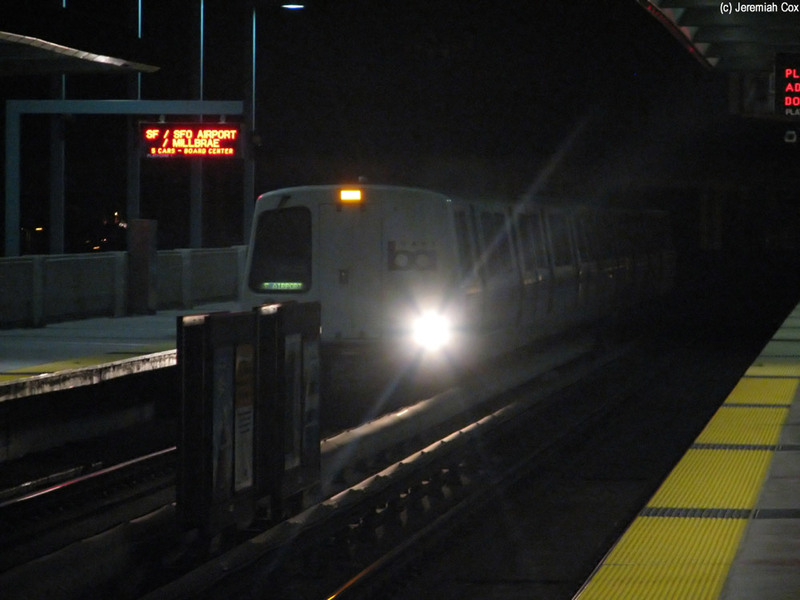 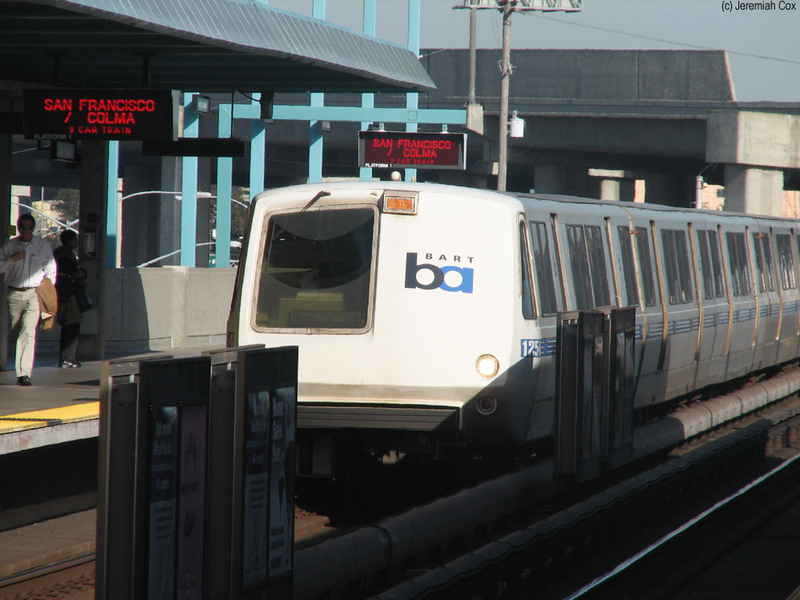 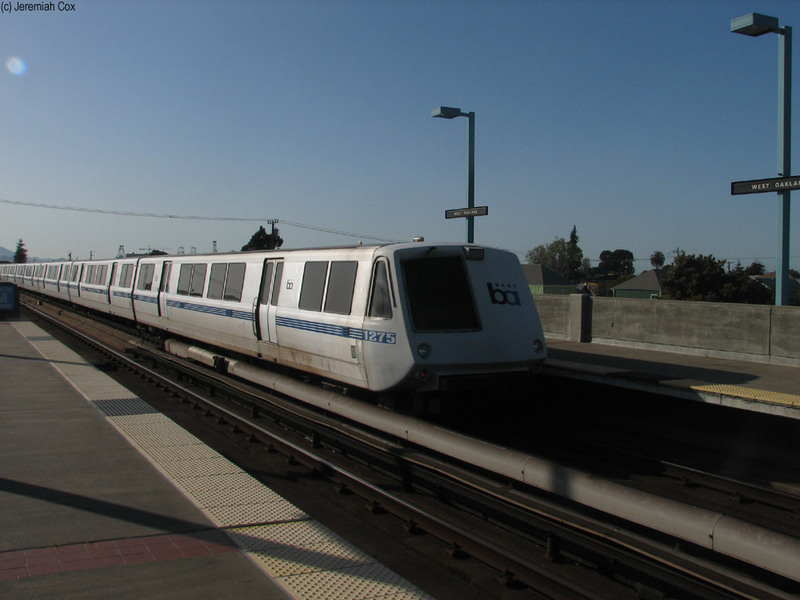 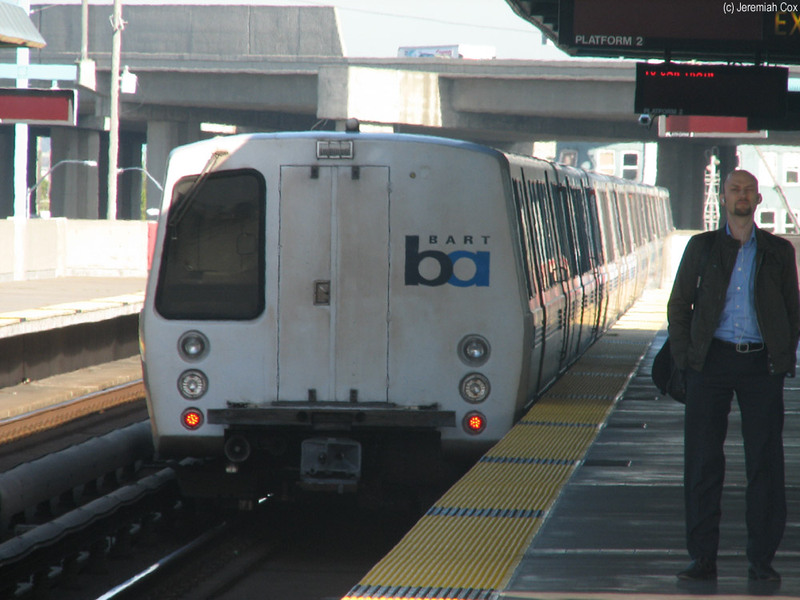 West Oakland is the one station on the East Bay served by all trains heading into the Transbay Tubes to and from San Francisco before the routes switch to either curve run north to Richmond or Pittsburg/Bay Point or south to Fremont or Dublin/Pleasanton. 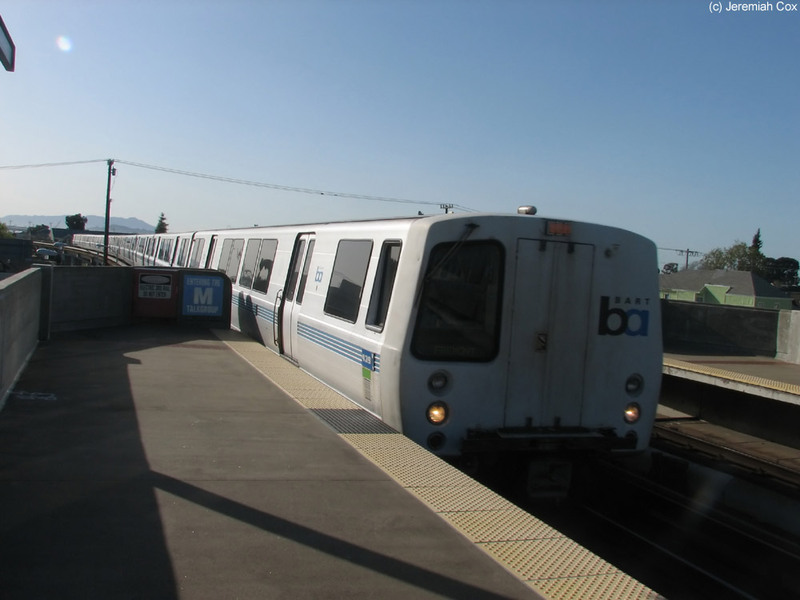 Except during Evening and on Sundays (when the Daly City — Fremont, and Milbrae &mdsash; Richmond Routes don't operate) it is the only stop in the East Bay with a one seat ride to every BART station (all stations in San Francisco qualify too). 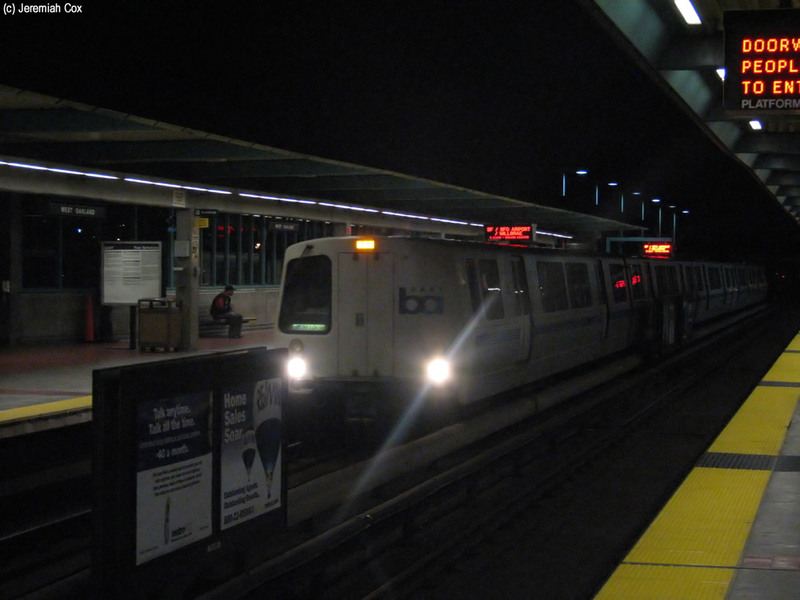 It isn't much of a transfer point because of the Fremont — Richmond Line that doesn't serve this station allows most East Bay trips to be completed with a one-seat ride or via timed transfers in Oakland between this line and the Pittsburg/Bay Point — SFO Airport Line. 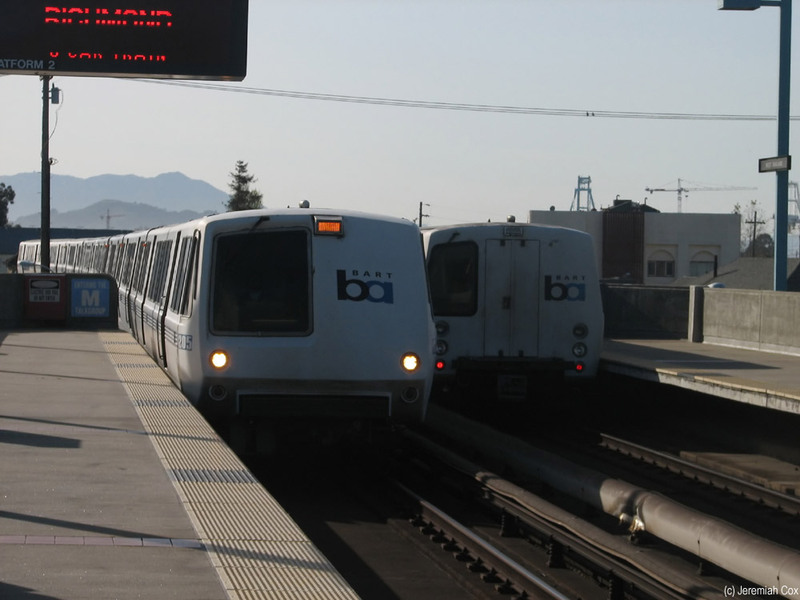 For the possible trips where a West Oakland transfer would make for a two seat ride instead of a three seat ride (Dublin/Pleasanton to stops on the Pittsburg/Bay Point Line) the BART trip planner even says to transfer twice and ride the Fremont — Richmond line to connect between these lines (at Bay Fair and the timed transfer at 19th Street Northbound, MacArthur Southbound) instead of just once at West Oakland by using the cross-under. 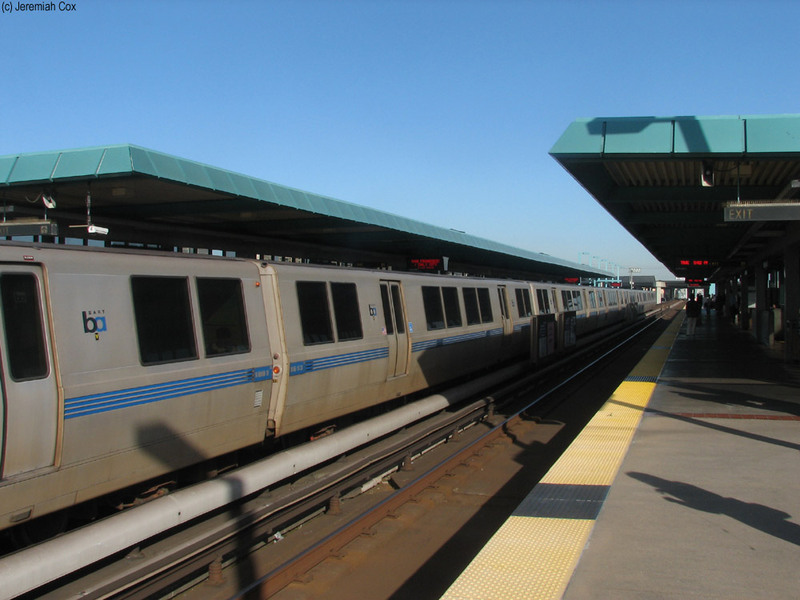 The West Oakland Station opened on September 16, 1974, the day the Transbay tube opened completing the initial BART system. 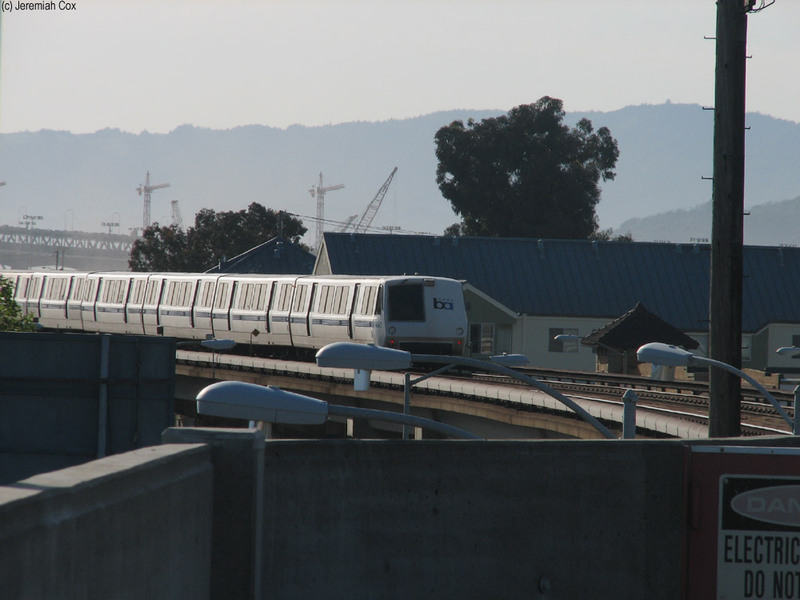 It is located located on an elevated ariel guideway (trains go over a portion of the huge Port of Oakland intermodal container terminal before diving underground and into the Transbay Tubes) above a double-block that contains parking lots with only 156 spaces and the station entrance in the middle of them. 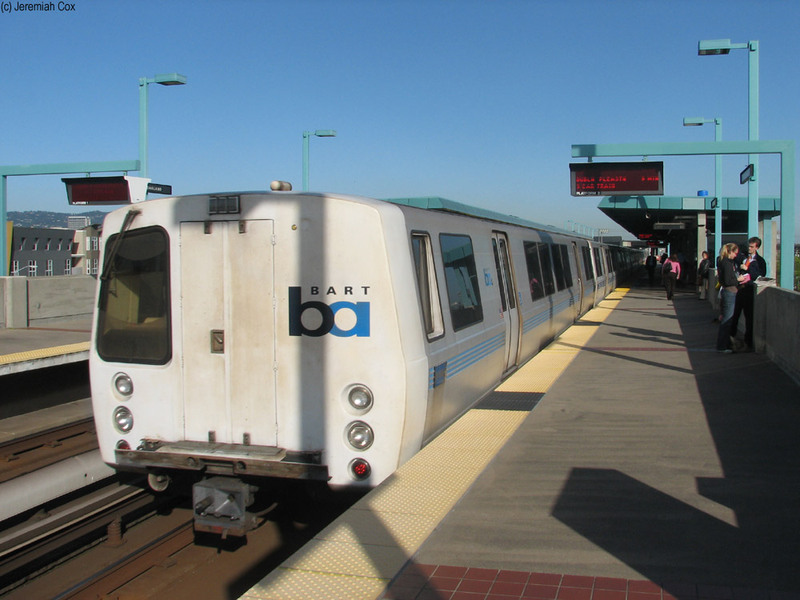 The parking lot charges the highest fee on BART for parking (as it should, it's the closest stop on the East Bay to San Francisco) at $6 per day since 2005. 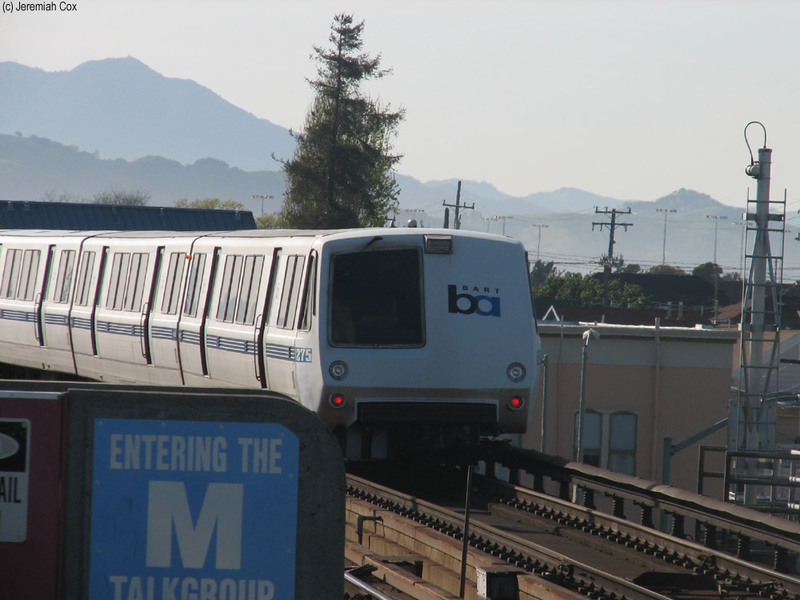 There are a number of other parking lots in the area privately operated with similar fees. 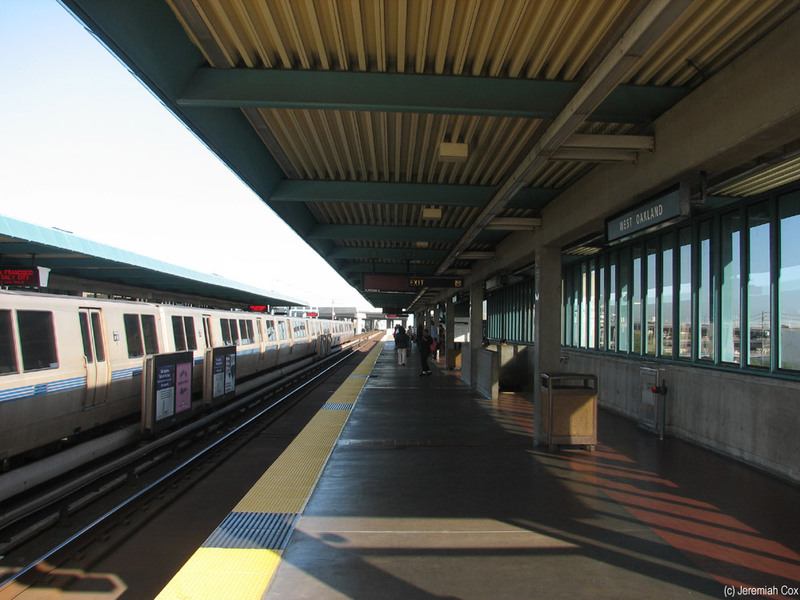 The block is bounded by 5th Street to the south, 7th Street to the north, Chester Street to the east, and Mandela Parkway to the west. 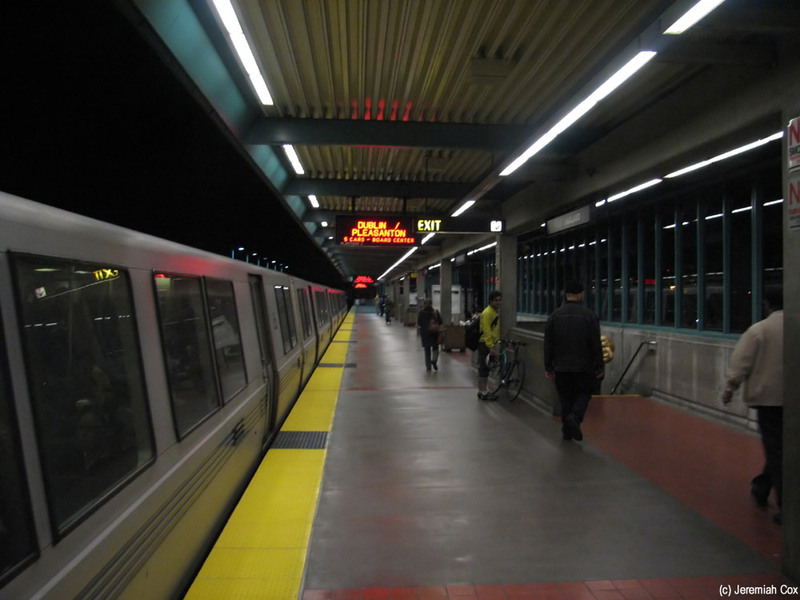 The station has two side platforms that are canopied in their midsections and left exposed to the elements with low concrete light fixtures at either end. 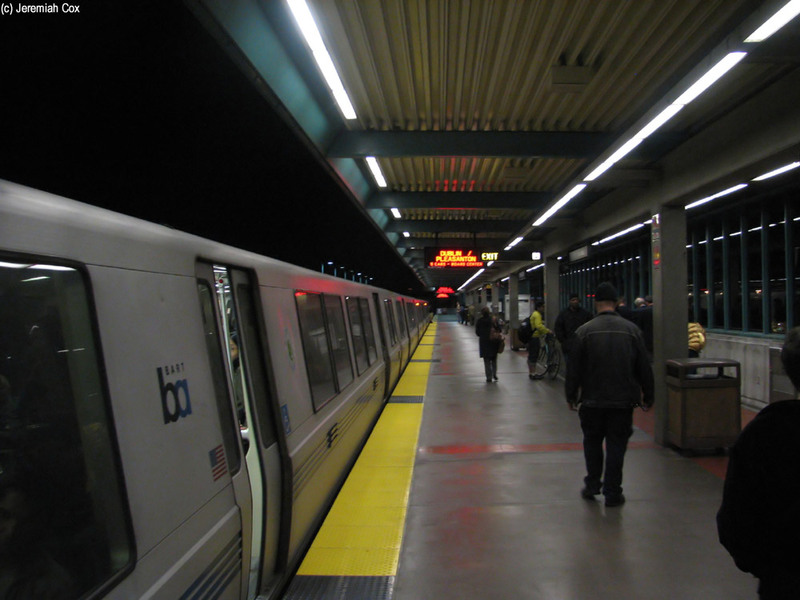 To leave the platforms an escalator and staircase lead off the platforms and down the fare control area in the middle of the parking lot. 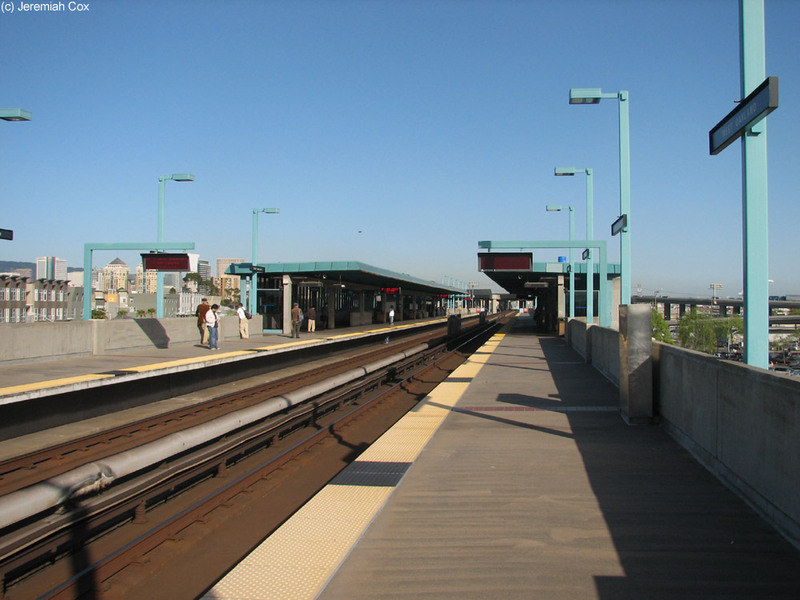 Looking down the East Bay platform at West Oakland. 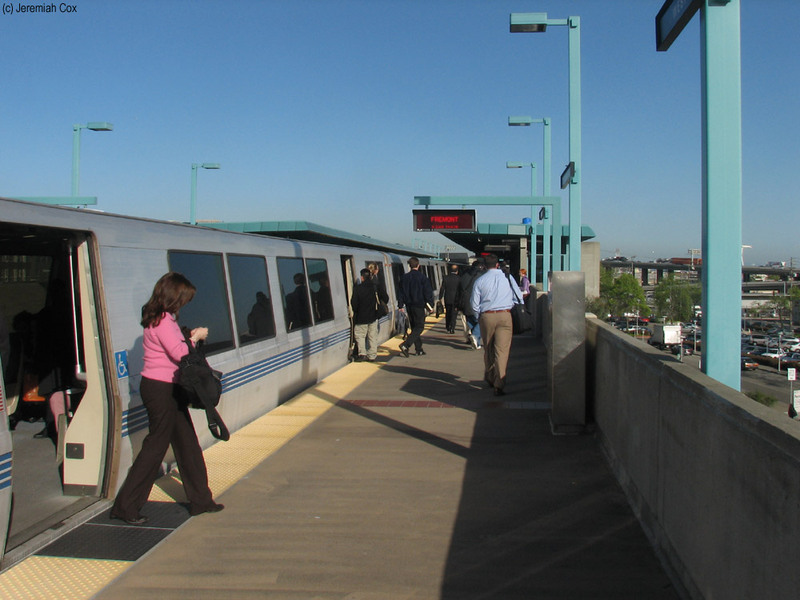 They are fairly wide and have glass planaling making the view of the surrounding area visalble. 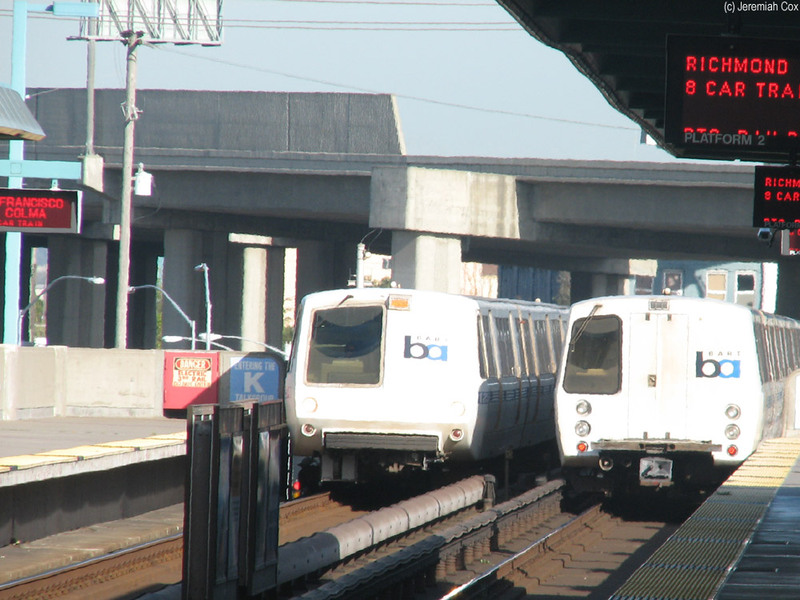 A-Car #1125 leads a 9 car train for Richmond into West Oalkland passing a train of C-Cars.